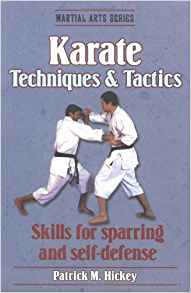 Karate Techniques & Tactics combines study of the history and language of karate with fundamental skill instruction. Whether you're a novice or an experienced karate-ka, you can perfect your skills and learn new skills. Let one of the highest-ranking karate instructors teach you the best form for stances, blocks, punches, and kicks. You’ll master the fundamental techniques and develop tactics based on your personal strengths and weaknesses, and then learn how to adapt these skills and strategies for effective self-defense where the rules of the dojo do not apply. Conditioning drills will give you more speed and power, and the secrets of successful international competitors will help you to perform your best in matches.